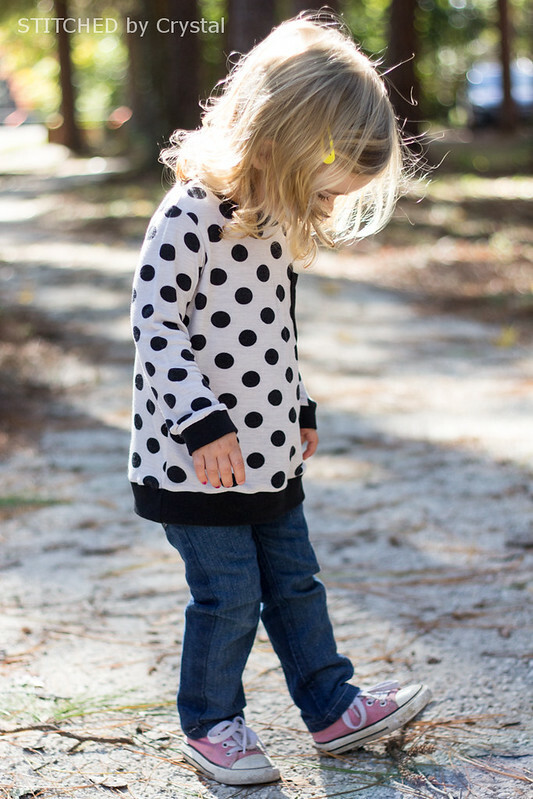 Today I am so excited to be joining the Rowan Tee Pattern tour! I was thrilled when Laura of Titchy Threads asked me if I would be a part of the tour, Laura and her patterns are fabulous! Laura's pattern got me through sewing my first pair of jeans ever, and she made it seem easy, seriously she is awesome! 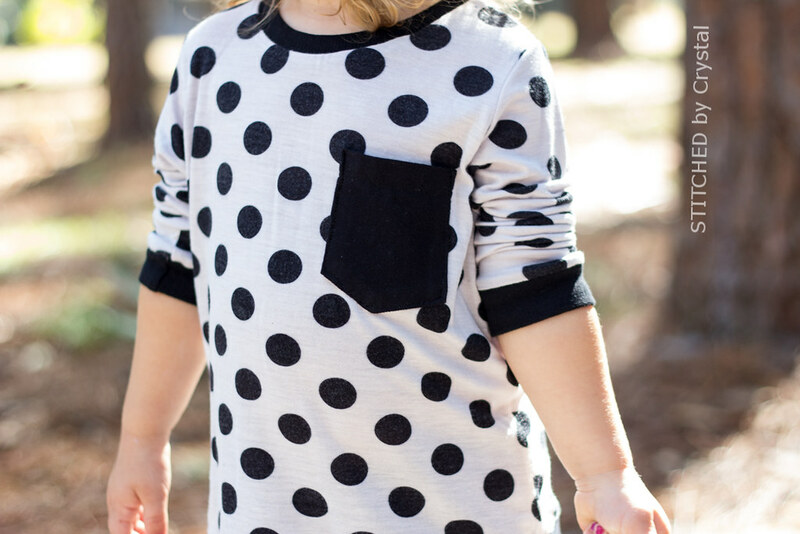 You have seen the Rowan Tee here on my blog before when I sewed up 2 for testing, but this pattern has so many options this one looks nothing like the other two. With all the great options this pattern has, you can combine them to make this shirt 144 different ways! Laura asked that everyone on the pattern tour choose a different one of the 144 combinations you can make with this pattern. 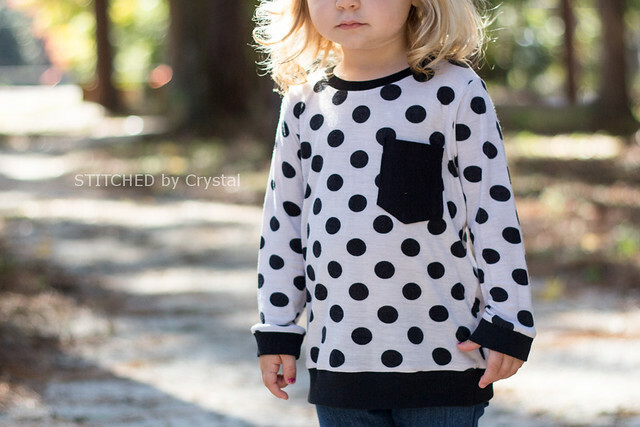 I chose to make a long sleeve tee with patch pocket and cuffed hems. Some other options you can choose from are a hood, kangaroo pocket, and stripes down the sleeves. I sewed this shirt up for Em in a 18-24 month width with a size 2 length out of some mystery knit from Walmart, the end of the bolt said "Unknown remnant"! But it was only $2 a yard and I love a good mystery (just kidding, but I do have a hard time passing up a geometric print like these polka dots!) The knit is super soft and stretchy, some type of light weight single knit I would guess. For the neckline and cuffs I used a ribbed knit, and a jersey for the little patch pocket. The Rowan tees fit is spot on. 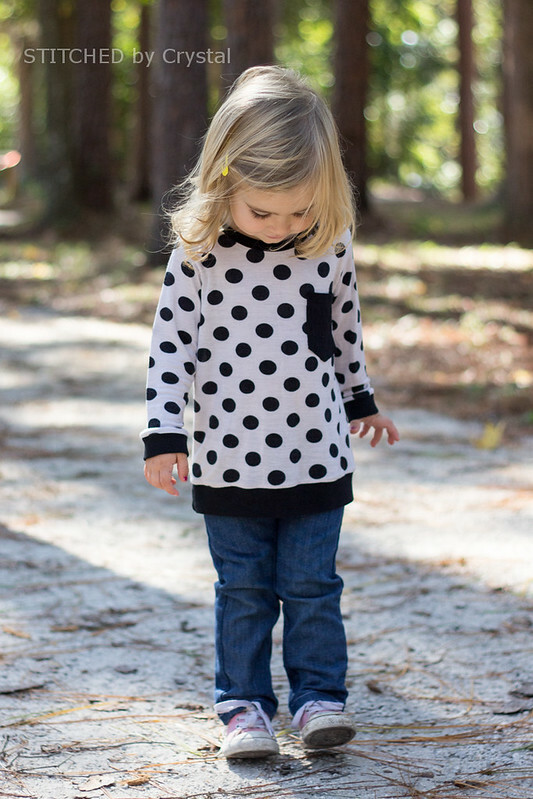 It is a slimmer fitting tee, which I love for my slimmer sized girl. With the weight of the rib knit pulling on my mystery knit, this one looks a little longer than the last two I made. 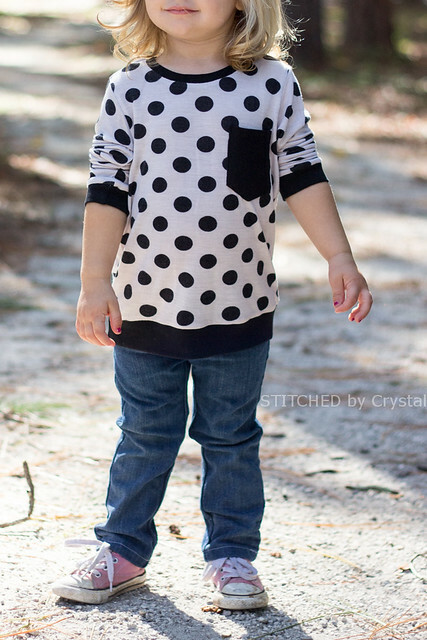 But I love the longer length, it looks adorable with her Small Fry Skinnies, but pairs well with leggings too. 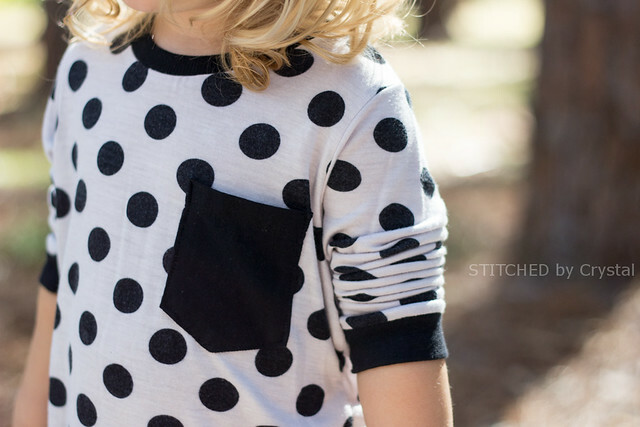 It is a quick sew and the instructions are super clear and easy to follow. This is actually the fourth one I made (A got one too) and I have one more on my cutting table already! I know this is a pattern I will be using over and over. 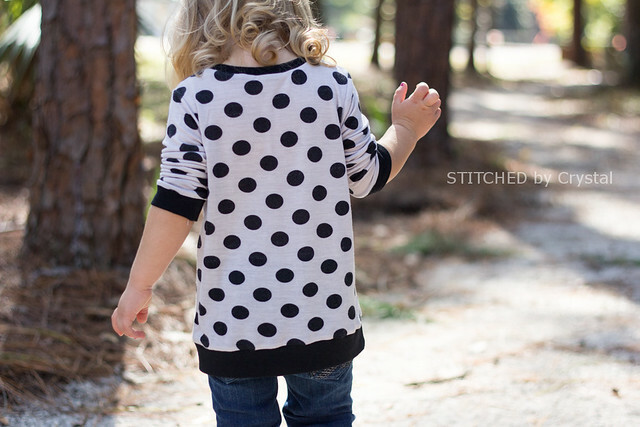 You can find the Rowan Tee pattern in the Titchy Threads shop along with all of Laura's other great patterns. Check them out! Want more Rowan Tee inspiration? 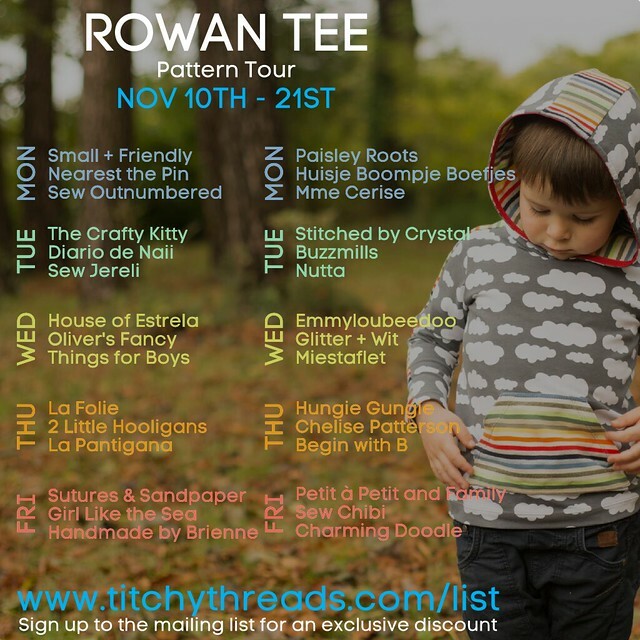 Check out the other stops on the Rowan Tee Pattern Tour, and head over to Craftstorming to follow along with the rest of the tour going on this week! 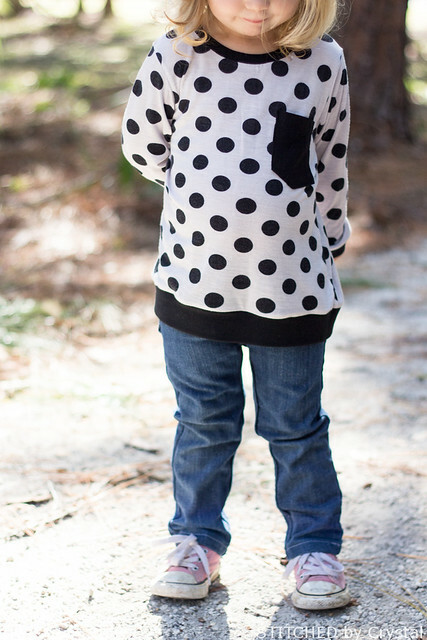 That knit was a lucky remnant find - it looks so great with the solid black ribbing and pocket and so cute on your daughter. Your photos are beautiful, as always. Thanks so much for being on the tour today. I love this one! Although I love how all of your shirts turned out. It really does look adorable with her sfsj! Wow!! This kid looks really cute in this outfit. Looking for the Drag Queen Shirts then, get the whole new collection of t-shirts from Drag Queen Merch. Easy going Dubai Escorts are known for doing all types of stunning moves. With them, it would be convenient for cherish great time the hotness of young girls is something that could arouse your physical desires and fill your mood with happiness. Ensure to do all types of fun loving positions with the lady and hire the right individual. Incredible fun loving experiences that guys can offer you are amazing.